Check Battery, wipers, lights, filters, brakes and suspension. Your brake system depends on many parts from the pedal to hydraulics, power boosters, drums, disks, pads and the electronics that manage all of it. The technicians at Pin Oak Automotive know their way around the systems inside out and car perform repairs and installation on any make or model. Your exhaust system is designed to do more than just reduce the noise. It is also a part of your emissions control and reduces harmful effects on the environment and atmosphere. Kelly & John Bissette welcome you to Pin Oak Automotive. 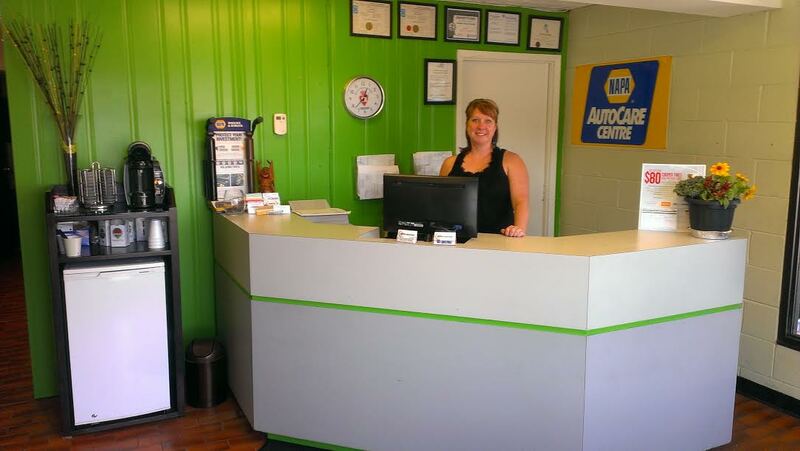 We are a full service, Family Owned & Operated automotive repair and maintenance shop serving Niagara with consistent and friendly service. We understand that sometimes car repair can be stressful and we do everything possible to make our clients feel welcome, comfortable and satisfied with their service experience. All mechanics employed at Pin Oak Automotive are handpicked for their knowledge and experience in the automotive field. Every service is done with pride and a desire to deliver the best repair and the best customer service possible. Just a little background on John ­ He has been a Certified Technician for over 25 years as well as being involved in various forms of motorsports and is currently a crew chief for a Trans Am Pro Race Team. John is continuously training as are all our technicians to ensure that they are all up to date on the newest technology. To quote John: Kelly & I go above and beyond for all our valued clients and treat every car like it belongs to our mom. We had our car checked somewhere else and they told us it was the oil pan and it would be expensive. But John knew better and showed us how it was only a gasket and saved us money. Thank you John and Kelly! John and Kelly are prime examples of the meaning go above and beyond to ensure that every customer is 100% satisfied. We are one of those customers and they will work with you to bring total satisfaction with vehicle repairs. Prices are always reasonable. We will not go anywhere else because we have found our favourite automobile shop. You won’t be disappointed. Thanks to both of you for exemplar services! !